In the July 2018 issue of Harvard Business Review, I happened upon a very interesting article by Michael E. Porter and Nitin Nohira. 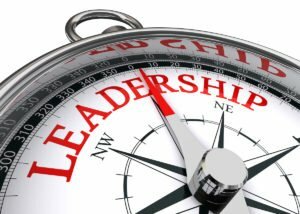 The article hit on one the keys in driving culture: leadership behavior. Not as listed on the values poster and website, but as they are. I know how it is. As a former HR leader, employees would observe my behavior to ensure that what I did was consistent with the behaviors I advocated. It happens all of the time. Leaders are observed and judged. When leaders do not act consistently with the intentional culture, the cooler talk sounds like, “Why should I behave that way when the leadership team does not?” Employees are correct. It starts with the leadership team. As a culture consultant and executive coach, I have the pleasure of working with organizational leaders on aligning their behavior to the conscious culture. The big question is, where do we start? The place to start is by gaining clarity on the intentional culture. What works at Apple will not work at IBM. Google’s approach is unlikely to be a fit for Ford. Each culture is – and should be – unique. Once the culture is consciously understood and there is agreement with the leadership team, each leader of the organization needs to understand their strengths and blind spots that are directly tied into the unique fiber of the culture. Specific leadership competencies and behaviors can be selected that are the basis for 360° feedback. Salesforce does a great job with this. Each leader is provided feedback on the unique competencies that are key to Salesforce. Coming up with the competencies does not happen overnight, just as defining and shifting culture is not a four-week project. For organizations that have not yet progressed to this depth of understanding in their strengths, there are 360° tools that allow national comparisons to other leaders in similar industries and/or organizational size. This allows each leader to receive an understanding of their internal reputation while gaining insight into their reputation compared to other leaders. Need help? Contact Conscious Culture Group today. The process must not stop at receiving the feedback. The feedback needs to be internalized, strengths understood, and an improvement plan implemented. Utilizing a qualified executive coach to understand the results, put a development plan together on blind spots, and further develop strengths over the next six months is another key. A great coach will know how to stretch the leader just enough for them to grow and “play in a new sandbox”. It is an advantage to the leaders to hire an executive coach who knows the organization and its culture. One of the very impactful experiences I lead is working with a team of leaders who receive 360° feedback, create a plan, work with an executive coach and, in an offsite session, share what they learned about themselves. During that session, updated feedback is provided to each leader and support is requested by each leader. This creates powerful bonding and awareness, furthering the trust of the team and success of a conscious culture. What do you think? Are culture and leadership competencies linked? Are cultures mirror images of the leadership style? Should the leadership team be aligned in their leadership style? Please comment and/or let’s have a conversation on this topic if this resonates with you. Feel free to reach out to me at [email protected].